The 10th Round Hainan Regatta 2019 (RHN Regatta) is organized by Hainan Provincial Government, which will be held from 15th to 23rd March in Hainan. All sailors are sincerely welcome. 1.1 The regatta will be governed by the rules as defined in The Racing Rules of Sailing (RRS) 2017-2020. The Notice of Race; The Sailing Instructions (with amendments). 1.4 The Notice of Race may be amended by the Sailing Instructions. [NP] denotes a rule that will not be grounds for protests by a boat. This changes RRS 60.1(a). 1.6 Race documents will be published in both Chinese and English. In case of conflict between languages, the English text will take precedence. 2.1 Advertising displayed on a boat (hull, sails and boom) or on crew-wear during the event is permitted in accordance with WORLD SAILING Regulation 20 of Advertising Code, and requirements from local advertising regulations. 2.2 Boats may be required to display advertising chosen and supplied by the OC. OA advertising shall be displayed according to the requirements of the OC. Any removal of OA advertising is forbidden, OC may disqualify violators. 2.3 Teams may display their team’s Name or Image or Logo or other advertisings, display sites will be detailed in Appendix 1. 2.4 Accredited journalist, photographers or cameramen who are not regular crew members and are registered as official guest or media at Round Hainan Regatta may join and/or leave a boat at any time and by any means so long as their doing so does not directly affect another competitor and they play no part in the racing of the boat. This changes RRS 47.2. 3.1 The Regatta is open to boats who may be representing a country/a city/a club or an individual boat owner. Boats conforming to the following requirements are eligible to enter. 3.2 The Regatta is open to Dubois 50 One-Design Class, and IRC Class (IRC Full-Round Group (F); IRC Half-Round Group (H)). Dubois 50 One-Design Class participates in the Haikou-Sanya-Haikou Offshore Race; IRC Class can choose to participate in the Haikou-Sanya-Haikou Offshore Race or Haikou-Wanning-Lingshui-Haikou Offshore Race according to own conditions and the setting of the race route. OC will group the IRC Class according entries received and based on Design Type, Current Rating, Hull Factor, Hull Length (HL), and Displacement Length Ration (DLR) and will be confirmed by 17:00 on Friday 15th March. The NOR 6 for details of the specific schedule. 3.3.1 Sailboats eligible to enter the RHN Regatta shall comply with the definition of Monohull Sailboat not less than 32 feet length overall (LOA), and with full self-recovery ability and eligible. 3.3.2 Boats participating in the offshore races shall meet the requirements of WORLD SAILING OSR for category 3. The Race Committee will appoint an Officer to conduct inspection of safety equipment of the boats. 3.3.3 Participating boats are required to provide the legally valid certificate of ownership issued by the competent authority of the port of registry, the Certificate of Seaworthiness or equivalent document within the validity period; the overseas participating boats must provide the boat’s certificate of value, crew list of entry-exit and certificate of port departure. 3.3.4 Each Participating boat shall be insured with valid third-party liability insurance. 3.3.5 All IRC Class participating boats shall have a Valid IRC Rating Certificate. 3.4.1 All participating skippers shall provide a Valid Skipper’s Certificate of Competency. 3.4.2 All participating sailors shall have a third-party personal accidental insurance for race and venue. 3.4.3 Each boat shall have at least 2 helmsmen with offshore and inshore race experience (Chinese shall have Yacht Driver license) and at least 2 crews with international standards of safety and lifesaving training certificate. Helmsmen and crew must provide relevant certificates during registration. 3.4.4 Overseas sailors shall have a valid Chinese Visa for entering China. 3.4.5 All sailors shall bring own life jacket and safety rope conform to international standards. The deadline for registration is Friday 1st Feb 2019, which can be adjusted at the discretion of the OC. Late entries may be accepted up until Friday 15thFeb 2019 at the entire discretion of the OC and subject to payment of the specified late-entry fee. 4.2.1.3 The Entry Fee includes participate boat berthing, Water, and Power Service fees during the event (8-30th March 2019). Entry fee is not refundable if applicants cancel their entry. A written application can be submitted to organizing committee if the cancelation is caused by force majeure or reasonable special reasons. Each boat shall pay RMB 5,000 including 10 crew members (includes the skipper) accommodation, meals, souvenirs, the tickets for Opening & Prize-Giving Ceremony and other activities, and transportation between venue and hotel from 15 to 23 March 2019. 4.2.3.1 Extra sailor will pay the accommodation if the boat exceeds the number of sailors limited by the NOR 4.2.2. Each sailor can pay RMB 450 to obtain accreditation, souvenir and tickets for Opening & Prize-Giving Ceremony. 4.2.3.2 Fuel, meal in the race and non-meal time of the event shall be resolved by team. 4.3.1 Eligible boats shall register with Crew list, Team profile (short description of racing experience), brief introductions of Skipper and 2 other main crews. Please submit to info@hnoceanrace.com (Round Hainan Regatta Official Registration E-mail). 4.3.2 Boat information of Dubois 50 One-Design Class will be provided by OC. 4.3.3 The OC will formally reply whether or not to accept the application after receiving all the application materials. If the material is incomplete or does not meet the requirements within the stipulated date, the application will be deemed invalid. The application will not be eligible unless the OC accepts the reasons. 4.4.4 Please indicate the name of the paying boat and provide the billing information according to the general VAT invoice. 5.2. In order to ensure the safety of the Race, boats shall install the YB Iridium ship borne positioning navigation equipment. The OC will charge a fee of RMB 1,000 per set for communication service. The period of use will be from 15th to 23rd March, 2019 and the deposit will be RMB 4,000 per set. 5.3. The OC can provide paid maritime satellite phone use at a fee of RMB 800 per unit (including RMB 500 a total of 277 minutes call fee). The use will cover a period from 15th to 23rd March, 2019 and the deposit will be RMB 4,000 per unit. 5.4. The OC can provide paid VHF rental services for the boats for a fee of RMB 100/per set. The period of use will be from 15th to 23rd March, 2019 and the deposit will be RMB 1,500 per set. 5.5. The above deposits will be refunded after the race, provided that the rented equipment is returned in good working condition. 7.1. Each team shall submit a written application to the OC for the replacement of the damaged equipment. The damaged and the replaced equipment shall be submitted to the Chief Measurer and the Jury Committee shall give the final approval for the replacement of the equipment. 7.2. Boats or Equipment may be inspected at any time for compliance with certificate, safety equipment and sailing instructions. The Sailing Instructions will be published on the official website before the event and distributed to each boat at registration. The location of regatta harbors will be detailed in Appendices 3. The Race Courses to be sailed will be detailed in the Sailing Instructions. 11.1. For all classes rule 44.1 is changed so that the Two-Turns Penalty is replaced by the One-Turn Penalty. 11.2. Decisions of the international jury will be final as provided in rule 70.5. 12.1. The Low Point System of The Racing Rules of Sailing (RRS) 2017-2020 Appendix A shall apply. 12.2. 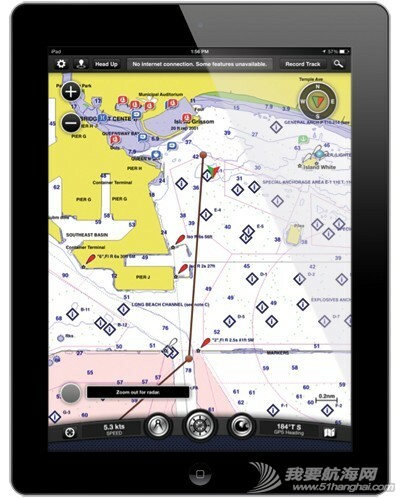 For IRC Classes the race real time of each boat will be corrected by its IRC TCC for the ranking. 12.3. For IRC Class and Dubois 50 One-Design Class the ranking for In-Port races will be counted as single score based on the total of each boat’s scores in all In-Port races. 12.4. For IRC Class and Dubois 50 One-Design Class the ranking for each leg of offshore race will be counted twice in overall score. If there is a series-score tie between two or more boats, the tie shall be broken in favor of the boat with the best score in the Sanya-Haikou offshore race. If the tie remains, it shall be broken in favor of the boat with the best score in the Haikou-Sanya offshore race. Any remaining ties shall be broken by applying RRS Appendix A8 on the scores of the inshore races. If there is a series-score tie between two or more boats, the tie shall be broken in favor of the boat with the best score in the Lingshui-Haikou offshore race. If the tie remains, it shall be broken in favor of the boat with the best score in the Wanning-Lingshui offshore race. If the tie remains, it shall be broken in favor of the boat with the best score in the Haikou-Wanning offshore race. Any remaining ties shall be broken by applying RRS Appendix A8 on the scores of the inshore races. Boats shall be kept in their assigned places in the harbor. Keelboats shall not be hauled out during the regatta except with and according to the terms of prior written permission of the OC. Underwater breathing apparatus and plastic pools or their equivalent shall not be used around keelboats between the warning signal of the first race and the end of the regatta. 17.3. The top 3 overall winners of each leg of Round Hainan Offshore Race will be awarded. 17.4. The first finisher in real time of each leg of Round Hainan Offshore Race will be awarded. 17.5. Overall Champion will be awarded in IRC (F) Class and Dubois 50 One-Design Class. 17.6. Other prizes may be awarded at the discretion of the OC. 18.1. Yacht racing can be dangerous. The attention of owners and skipper is drawn to RRS Fundamental Rule 4: “The responsibility for a boat’s decision to participate in a race or to continue racing is hers alone” and to Special Regulation 1.02 (first point) which begins “The safety of a yacht and her crew is the sole and inescapable responsibility of the Person-in-charge…” If boat owner is not onboard, he/she shall sign an authorization paper (provided by OC) to skipper who is racing onboard, entrusting him/her the full responsibility of boat & crew safety and all legal issues related to entering Round Hainan Regatta. Meanwhile, boat owner and skipper shall submit a copy of his/her Identity Card with signature to OC. If boat owner is a company, a copy of company Business License with stamp shall be submitted. Non-registered crew is not allowed to race onboard without the prior written approval from OC, or it will be on his/her own account. 18.2. The OC and all its related members, including sponsors, race officials and staffs will not accept any liability for material damage or personal injury or death sustained in conjunction with or prior to, during, or after the regatta. 18.3. Owners and skippers are invited to co-operate closely with the OC, race committee and Round Hainan Regatta Office in completing the formalities of their boat entries by submission of all required information, certificates, forms etc. within the deadline dates quoted throughout this Notice of Race. It is the sole responsibility of the owners and/or skippers to comply with the deadline dates and failure to do so in respect of any aspect will be treated as a failure to enter the Regatta, in which case, boats will not be eligible to compete unless evidence of genuine extenuating circumstances for the lateness is accepted by the race committee. 19.1. Each race boat shall be insured with valid third-party liability insurance with a minimum coverage of RMB 1,000,000. All sailors participating in the event will automatically agree that their names, photos and other information can be used free of charge by the OC and event sponsors when making, using and displaying print advertisement and multimedia products (including live and recorded TV, and videos, etc.) according to the need in the event during and after produces.